Brooklyn-based duo the Hundred in the Hands create a debut album that seeks to move your hips by borrowing from any number of electro-genres. Some records seem made for the city. In this little century, you could trace it back to Kid A -- somehow, the blending of slick electronics with sharp-toothed rock elements creates a decidedly urban atmosphere, one equal parts mechanically eerie and futuristically thrilling. The Hundred in the Hands live in Brooklyn, which isn’t surprising in itself, but the band seems to capture the energy of a pulsating, at least moderately dystopian 21st century urban center. The band’s debut EP, This Desert, hinted at their potential to create such moody, exciting music, and this proper eponymous LP sees them moving way ahead of those initial tracks. Opener “Young Aren’t Young” distills the band’s best elements into an immediately gripping pop song. Jason Friedman lays down a skittering disco beat, peppering it at just the right points with bursts of spiked, reverb-laden guitar. Eleanore Everdell’s airy synths approach the ethereal, and her understated vocals contrast nicely with Friedman’s insistent rhythm. Everdell’s lyrics tell the story of a couple making their way through a hazy evening in the city: “Slinking in the street / And we take off running / Living in the light / On the darker side”. By the song’s end, its tension is mirrored in her coda as well, as she sings, “Young aren’t so young, / They’re getting restless”. “Young Aren’t Young” was produced by lauded electropop figure Richard X, veteran of the mixing boards of MIA, Annie, and the Human League, among other heroes. He brings his ear for innovative electronic music to several songs on The Hundred in the Hands, and one never doubts the integrity of his stamp of approval. In that way, the palm-muted guitar that announces “Lovesick (Once Again)” comes as something of a surprise. Here, the band indulges in a bit of the Gang of Four revivalism that marked the better half of the 2000s, though -- crucially -- it doesn’t seem stale. The song may build itself around crunchy chords and Everdell’s stuttering vocals rather than the more typical IDM production of most of Warp Records’ recent catalogue, but it gets the hips moving. The Hundred in the Hands pull this trick a few times on the record, with “Last City”, “Gold Blood”, and early hit “Dressed in Dresden” sounding a lot like Bloc Party’s London brought across the Atlantic to Brooklyn. Before you start to complain, remember how amazing Silent Alarm actually sounded, prior to all that backlash. If these rock-centric tracks don’t push electronic music forward much, so be it. They are, to put it simply, a lot of fun. Anyway, most of The Hundred in the Hands chooses programming and synths over distortion pedals and guitars. “Killing It” is a delicious slice of restrained, fuzzed-out electro-R&B. Friedman’s speaker-crushing bass notes send his gently picked melody flying high by comparison, and Everdell’s almost whispered vocals prove purely seductive. “This Day Is Made” follows that mold, adding a washed-out dub influence to the mix. Everdell’s lyrics stumble a bit here (“maybe we’re zombies”), but the song’s indestructibly pristine atmosphere more than makes up for that. Play this song back to back with the pogo-ing “Last City”, and you’d be hard-pressed to claim the two as coming from the same band. That’s not a shot at the Hundred in the Hands’s consistency; rather, it’s a compliment to their ability to shapeshift at will and never seem stagnant. Still, the band is at their best when they’re amping up the streetlight rooftop parties introduced in “Young Aren’t Young”. First single “Pigeons” is pitch-perfect for those post-collegiate celebrations in the city; you want to dance and to let go, but somehow the whole business is infused with a dull melancholy. Everdell’s morning-after story at the track’s end hits all the right notes before launching into “Commotion”, the song to begin the next gin-and-sweat soaked evening. 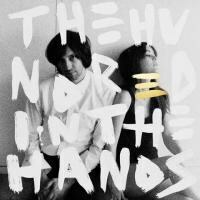 The Hundred in the Hands sounds like the debut record of a band with plenty of ideas for a follow-up. It’s nice that they didn’t make a straightforward dance record -- or, for that matter, a straightforward rock record, or a straightforward electropop record. Instead, Friedman and Everdell try on more than a few hats and keep the show interesting throughout. If nothing else, they’ll keep people moving toward the city.